The advisory industry needs to move on to other [exam] options like third-party audits and raising the AUM threshold for state-examined advisors, says TD's Schweiss. 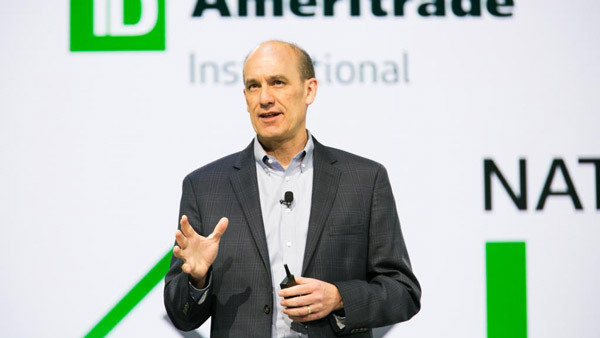 Skip Schweiss of TD Ameritrade Institutional. Just as investment advisors descended on Capitol Hill Wednesday to lobby for more funding for the Securities and Exchange Commission so the agency can boost the number of advisor exams, the House Appropriations Committee said it planned to keep the agency’s budget flat. Included in the House bill released Wednesday is $1.5 billion for the SEC, which is equal to the fiscal year 2015 enacted level but $222 million below President Barack Obama’s budget request. The bill is being considered by the committee on Thursday. Neil Simon, vice president for government relations at the Investment Adviser Association in Washington, said advisors lobbied members of Congress Wednesday on ways to “make the existing regulatory scheme for advisors more effective,” including enhancing SEC oversight by boosting the agency’s budget. IAA, which has pushed for user-fees legislation to boost the number of advisor exams, “feels very strongly [examining advisors] is not a function that should be contracted out to third parties, it’s a governmental function” that should be performed by the SEC. The SEC, Schweiss said, has received about an 8.5% budget boost per year, yet the agency doesn’t view advisors as “a major enough risk” since it has yet to significantly boost the number of advisors that get examined each year. Schweiss is also of the mind that advisors who are dually registered with the SEC and the Financial Industry Regulatory Authority should be examined by FINRA. “Most dual registrants welcome that idea of FINRA taking oversight,” he said. There are approximately 2,300 firms that are dually registered as broker-dealers and investment advisors or are broker-dealers with one or more affiliated investment advisors. Beyond that, a vast majority of registered investment advisor representatives also offer brokerage services. Approximately 87% of all registered advisory representatives are also registered representatives of a broker-dealer. FINRA can currently examine only the BD side of these firms. — Check out Talk of FINRA as Advisor SRO Rears Its Head Again on ThinkAdvisor.